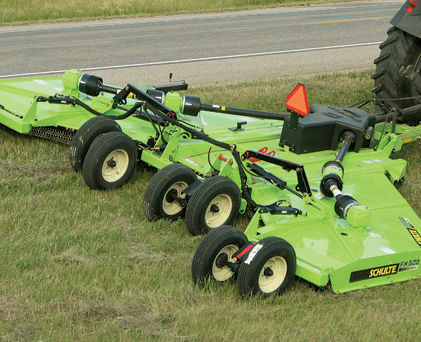 The five-rotor design optimises cutting performance, increases productivity and delivers extremely even distribution over competitors 20' models. 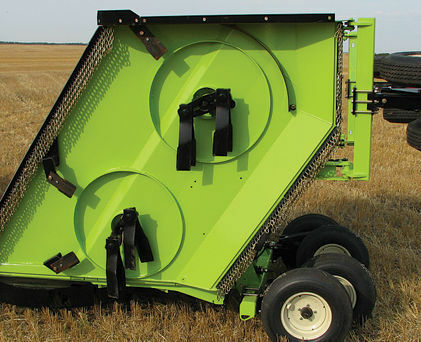 Unique 6 gear box layout, 260 HP divider box, 190 HP down boxes, 1000 RPM driveline gives unsurpassed cutting performance with higher cut speeds. The low maintenance drive line is protected by 5 slip clutches, 1 at each down box, and a shear pin at the input shaft on the divider box. Continuously welded 7 GA modular deck design improves strength and reduces rusting. 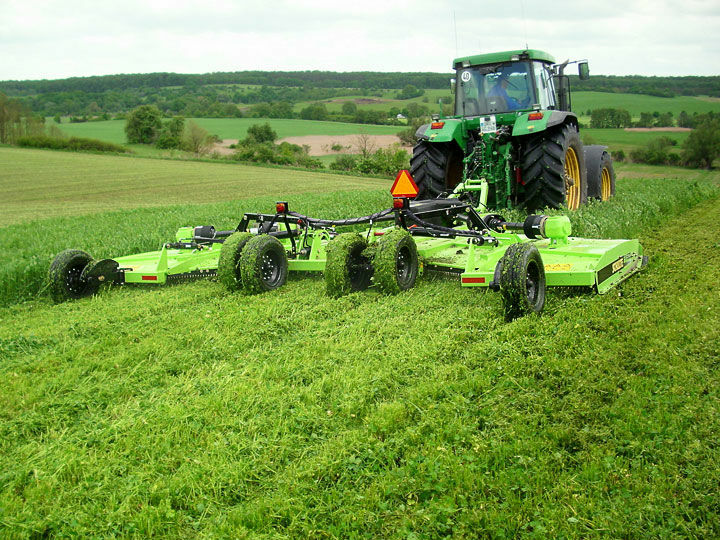 Hitch Lift Assist helps to lift the mower over obstacles to prevent undue stress on blades and down shafts. 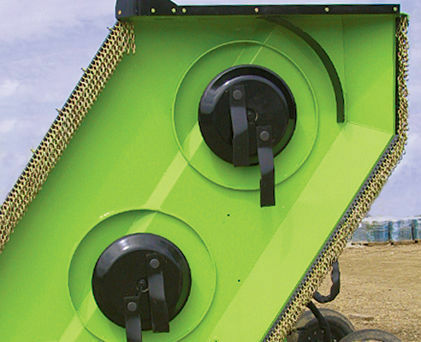 Hydraulic phasing cylinder system ensures an accurate parallel lift across the cutter. Available in a fixed knife shredder configuration or with stump jumper pans. 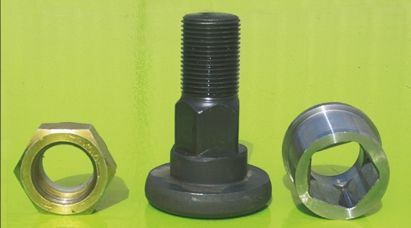 Exclusive pentagon blade bolt design for added strength and wear resistance. Deck protection rings to prevent blade to deck contact. Steel spring bushes at all vital pivot points. Exclusive patent pending Pentagon Blade Bolt design makes for easy fitting and removal of blades. 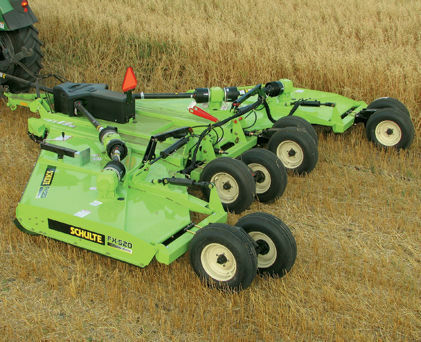 Schulte's super suction blades pull up material in tractor wheel tracks. 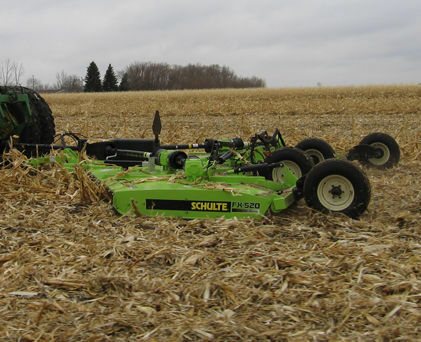 Mulching blades and Schulte's exclusive Fixed Knife technology combine for superior stubble mulching results. 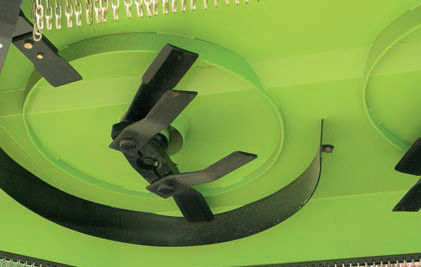 Mulching blades push material through the fixed knife resulting in a finer cut.